Dr. Kevin Ashby is the co-owner and clinic director of Endurance on 8th Health Centre. Dr. Ashby’s primary focus of care as a Chiropractor is to eliminate your injury swiftly while improving your overall fitness & wellness with customized exercise and nutrition plans. Dr. Ashby completed his Bachelor of Science in Cellular, Molecular, and Microbial Biology at the University of Calgary and obtained his degree in Chiropractic at the Canadian Memorial Chiropractic College. During his studies in Toronto, he had the privilege of treating patients of all ages and backgrounds in various multidisciplinary settings. 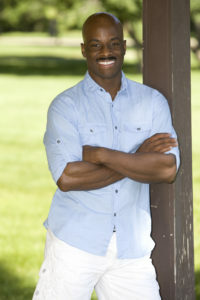 Additionally, Dr. Ashby obtained his certification in Active Release Techniques (ART) and in Certified Personal Training. Health and wellness have always been an instrumental component of Dr. Ashby’s life. As a child diagnosed with Asthma, he participated in competitive ice hockey for seven years and later played and coached competitive basketball. Nowadays, he continues to stay active as a retired natural bodybuilder and one-half of the National/North American Pairs Champions (with his wife Dr. Carvalho-Ashby) with the World Natural Sports Organization. Dr. Ashby’s non-stop involvement in professional and recreational sports has helped him motivate others to maintain a healthy lifestyle. Dr. Kevin Ashby is the Co-Founder and Co-President of Natural Physique and Athletics Association (NPAA). He and his wife, Dr. Wendy Carvalho-Ashby, have been instrumental in helping grow the sport of natural bodybuilding in Alberta and British Columbia. The NPAA is now the largest natural/drug-free bodybuilding federation in Canada. Dr. Kevin Ashby feels privileged to share his beliefs as a Chiropractor and Personal Trainer in holistic health care and to promote fitness and wellness to people of all walks of life.